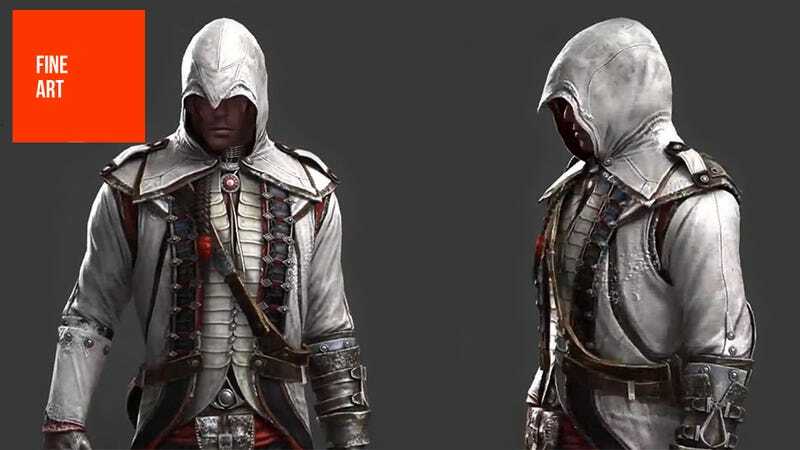 Here's what Assassin's Creed III's Connor looks like in the near-finished product. He's got flowing elements to his outfit, and a nice touch of blue. It is, considering the constraints of the military dress of the time, a pretty sharp outfit. In this gallery, though, you'll see some shots of what he looked like back in 2010, when pre-production for the game was in full-swing. Where there's now blue there was once red, and the Native American influence seems a little stronger too, especially on the back. He does look a little weird, though, without some kind of robe or cape, which may in part explain why the team moved on and went with a different design. That and the fact the creative process waits for no man (or woman) either! The outfit is on a model that's the work of 3D artist Nicolas Collings, a former employee of Ubisoft who now works at promotional animation powerhouse Blur Studio. In the gallery below you'll see more shots of it, along with other images from Collings' portfolio, both personal and professional pieces. If you dig it, you can see plenty more at his personal site and CGHub page.